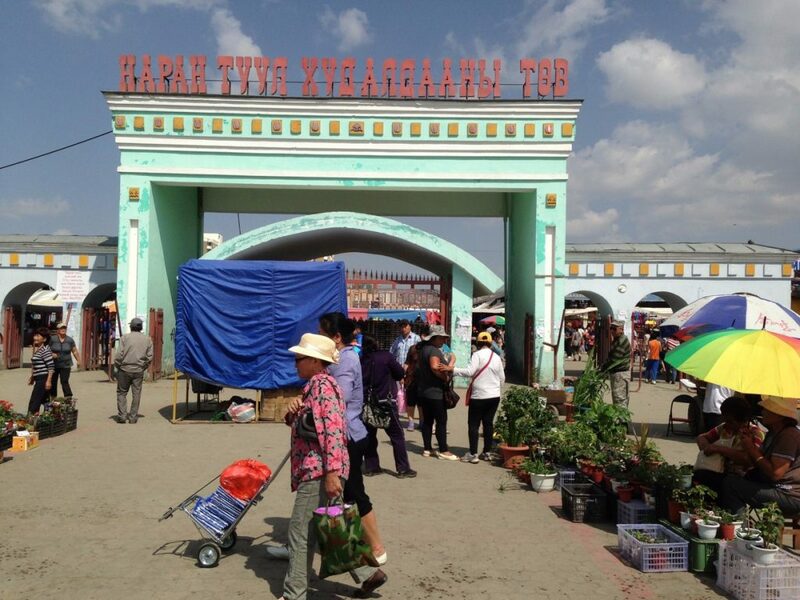 Another fascinating urban space in nomadic Mongolia would be Narantuul market in Ulaanbaatar. Narantuul market is the biggest market in the country and somehow nicknamed as ‘black market’. The term “Black market” could be originated during Mongolia’s communist regime when private trading was prohibited when the market was located in the middle of a ger district. Even there is a phrase that you can find everything except “green lamb fur and a dog hoof” referring you can find almost everything from food items to clothing, ger furniture, horse saddle, riding bots and camping equipment and so forth. For centuries, majority of Mongolians used to sew their clothes and nowadays this tradition still lingers widely in the country. You will encounter with colourful stalls with silk, cotton and other material used for making deel (a traditional costume). The market is a place where many whole sellers provide their supplies. Also locals and rural nomadic herders come and trade for their daily needs. 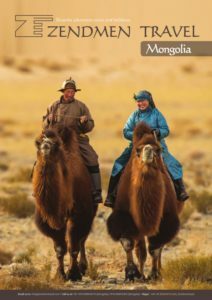 You may have look through what sort of items are needed in Mongolian’s daily life specially those who live in the countryside. 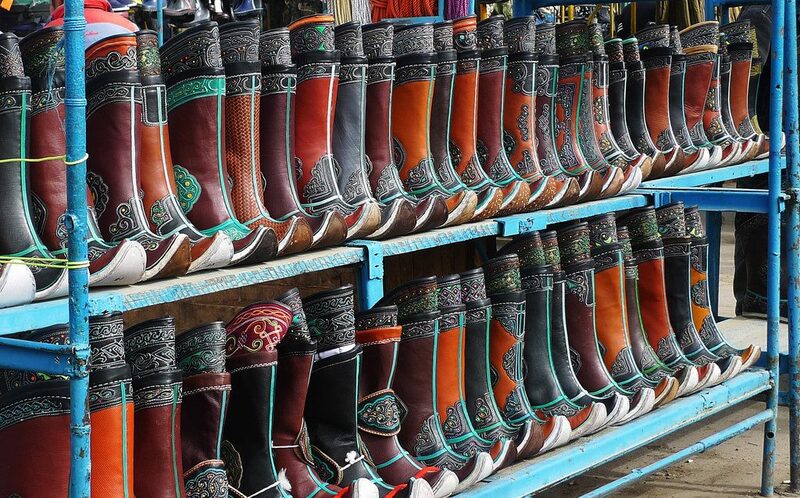 Traditional boots are widely sold at the market.